We wanted to take advantage of the break over the holidays to help our students who may have been struggling in some areas. We had 3 teachers tutoring the primary students in the subjects of Math, English, and Chemistry, which were the areas in which the children needed the most help. The kids were tutored for 2 hours/day in each subject and we planned an assessment at the conclusion so we could measure the success and impact of the program. To support this effort, we purchased 50+ workbooks for the orphanage to use as additional teaching materials for the students. 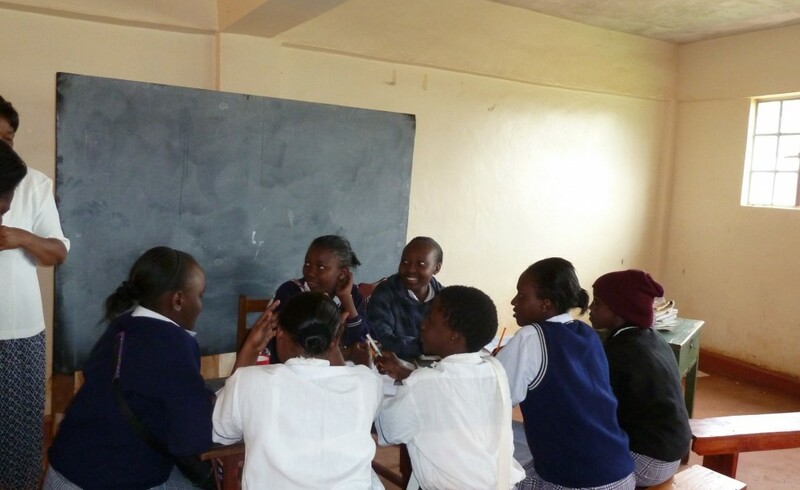 All students in secondary school were provided supplemental materials and workbooks, called Revision Books in Kenya, for their 2 lowest-scoring subjects. They completed their workbooks over the break and turned them into our employee, Margie, for review. We will provide an update on the results as soon as we get them. As a result, the secondary students are currently staying at the orphanage until the strike ends. This is a very unfortunate situation and disappointing for Moja Tu as well as the students; however, we plan to take advantage of the additional time. We are working to secure additional tutors to help the students during the delay so we may continue to catch the students up on various subjects and improve their scores. Many of the kids at Tania Center have come from difficult backgrounds and in many cases are still struggling to achieve their potential. We are hopeful that the strike will come to an end soon so they may resume their normal school curriculum. We are confident this additional focus will help our children improve their performance and help any of those who may be lagging behind catch up.